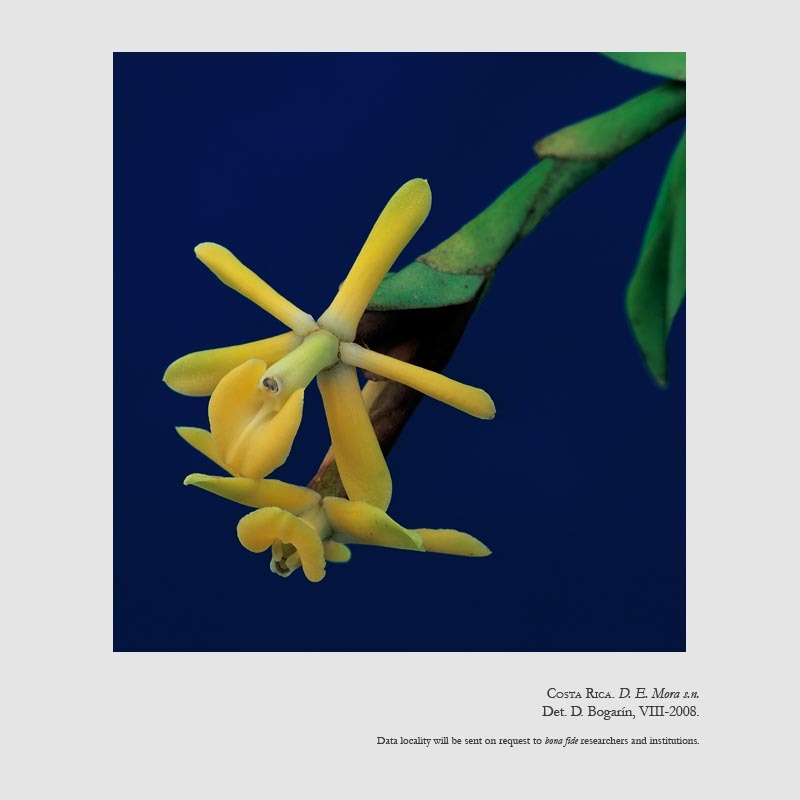 Found in Costa Rica and Panama in lower montane rainforests at elevations of 600 to 1000 meters as a small sized, pendant, warm growing epiphyte with stems arising from the internodes in the middle of the preceding stem and carrying evenly distributed, elliptic to lanceolate, emarginate, mucronate leaves that blooms in the late spring through fall on a terminal, occurring only once, short, distichous, zigzag, successively or not, 2 to 4 flowered inflorescence with prominent, conduplicate, almost as long as the ovary, brown spotted, floral bracts and carrying diurnal weakly scented flowers of lemon. 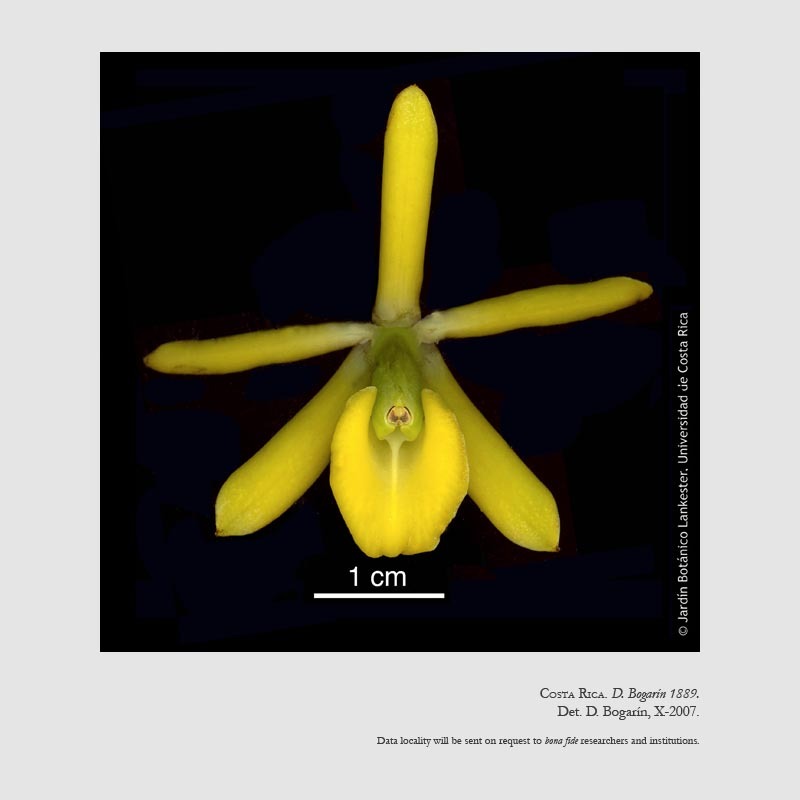 Recognized by the new stems arising from the middle of the previous stem, a racemose, 2 to 4 flowered inflorescence carrying yellow green flowers. Similar to E mirable but it has larger plants carrying 2 flowers that are purple in color.